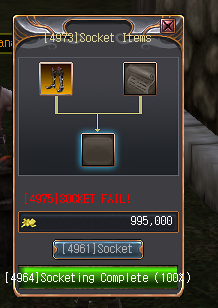 I have always fails too, but with jewels, not sockets. Where i wrote Socket 100%, this is gonna give you always 7 sockets. This file is in GameServer/Data. I thought so, but I dont have it there, could someone please upload it for me?